Are Labs Good Dogs? 14 Reasons Why Labradors Are Such Awesome Dogs! Andra's love of words is only matched by her love of dogs of all shapes and sizes. She shares her life with a rambunctious husky mix, has always worked in dog-friendly offices and loves writing about the latest and best in dog training, health and care, behavior problems and more. Even before the American Kennel Club (AKC) officially recognized the breed in 1917, the Labrador retriever had been earning praise and admiration for its hardworking, loving nature. From its humble origins as a fishing dog in Newfoundland (no, not Labrador!) in the 1700s to rising in popularity as a hunting breed in England in the 1800s to today’s lovable companion, the Labrador retriever is one awesome dog. Recently, the AKC ranked the Labrador retriever as the most popular dog breed in the United States in 2014—for the 24th year in a row. As AKC Vice President Gina DiNardo says, “The Lab truly is America’s dog”. In a nod to their origins as a hunting/fishing breed, Labrador retrievers are classified as part of the AKC sporting group, which means they’re willing to retrieve anything—from downed ducks to that Frisbee you accidentally flung in the bushes. 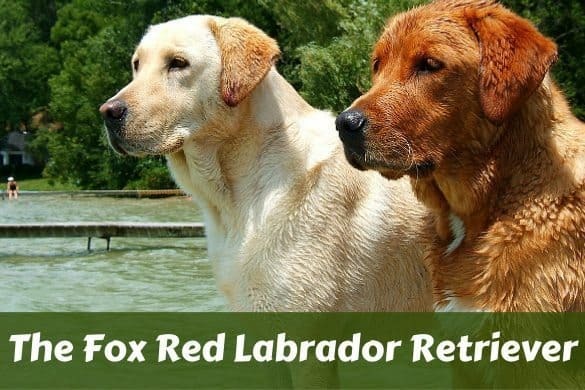 As they were originally bred to help retrieve fish and pull fishing lines to shore, Labrador retrievers instinctively love water, so if you love to swim, there’s no better buddy than a Lab to take with you to the beach. Have you heard the story of Norman, a blind Labrador retriever, who rescued a drowning teenage girl by following her screams and towing her back to safety? Though it’s an exceptional story, Norman is by no means an exception to the rule as most Labs love to help out. Video of the whole story here. Customs and Border Protection Agencies often use Labrador retrievers to detect contraband, especially plant and animal products that, if imported into the country, could cause damage to the native ecosystem and the economy. If you’re wondering, the beagle—also in the AKC Sporting Group—is the other popular dog breed used by government agencies. Labs are a very gentle, patient breed, and with the right socialization and training, get along famously with children. They share a similar zest for life, excitement and love of playing outdoors. As with any pet, however, it’s never a good idea to leave your Labrador retriever and your kids together alone and unsupervised. 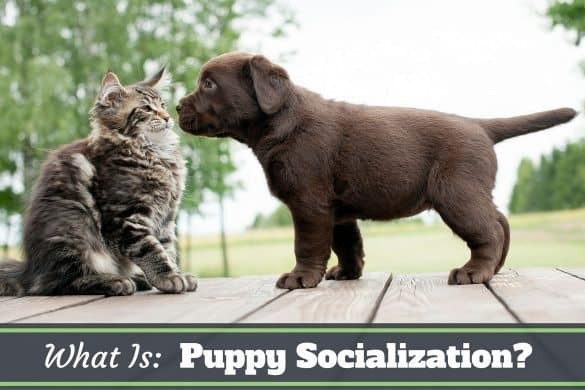 Especially if introduced as puppies, labs are known to generally get along well with other dogs. As with any changes to your family/pack, it’s important to watch for signs of aggression early on. If introducing an adult dog, consider choosing a neutral space such as a park for the first meeting to sidestep any territorial instincts. 8. How About Those Moves? Though you might think of border collies as the quintessential agility dog, Labs are usually recognized as an agile breed. Henry, a lab from Oklahoma, made history by being the first ever retriever to win the AKC’s National Agility title in 2013. Generally, Labrador retrievers are a healthy breed. Typical issues can include hip and knee dysplasia, and eye problems, which are all unfortunately common in most dog breeds as they age. You can expect to share 10-12 wonderful years with your Lab. As their name indicates, Labs were bred to retrieve downed prey such as ducks, grouse, rabbits etc. But a dog’s usual instinct is to bite down on flesh. Not so for the Labrador retriever, a breed with incredible control of jaw muscles that can be taught not to bite down. Watch Jake, a yellow Lab, carry a raw egg in his mouth without breaking it. Labrador retrievers have a short double coat to help keep them warm and waterproof. 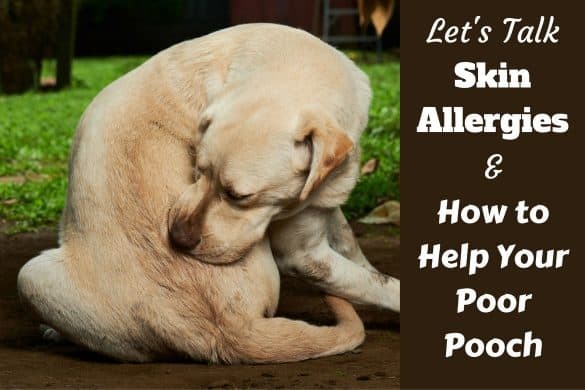 They do shed—some more than others—so it’s important to give your Lab a good brushing once a month or as often as necessary. Labs also like to roll around in dust and dirt, so keep a hose handy! Labrador retrievers have a long history of being service dogs, whether by detecting contraband or acting as sight dogs or helping people with day-to-day tasks. Labs have been shown to have the most success as guide dogs worldwide. Guide Dogs of America reports that 70% of their guide dogs are Labs. 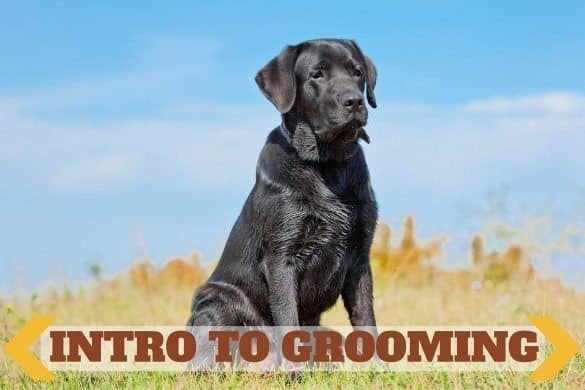 At 22-24 inches in height and 60-75 pounds in weight for males, and 21-23 inches and 55-70 pounds for females, Labrador retrievers are the perfect size for an active family: Not too big and not too small. Given the right amount of exercise, Labs do okay in an apartment but are best suited for a home with a medium-sized yard. Love exercise? So does your Labrador retriever. Labs are known to be high-energy dogs that can keep going…and going…and going. In fact, it’s important to watch your dog for overheating or exhaustion as Labs are not the best at knowing when to quit. 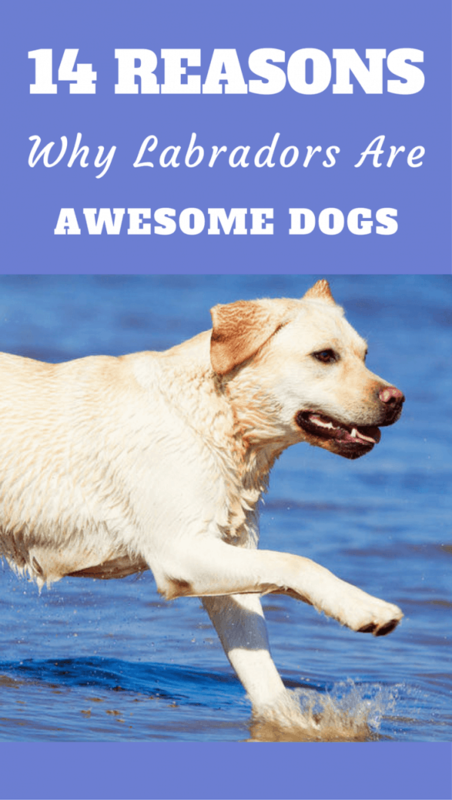 But if you’re looking for a daily partner who loves to run and play as much as you do, you can’t pick a better dog than the Labrador retriever. So there you have it: 14 reasons why Labrador Retrievers are such awesome dogs. 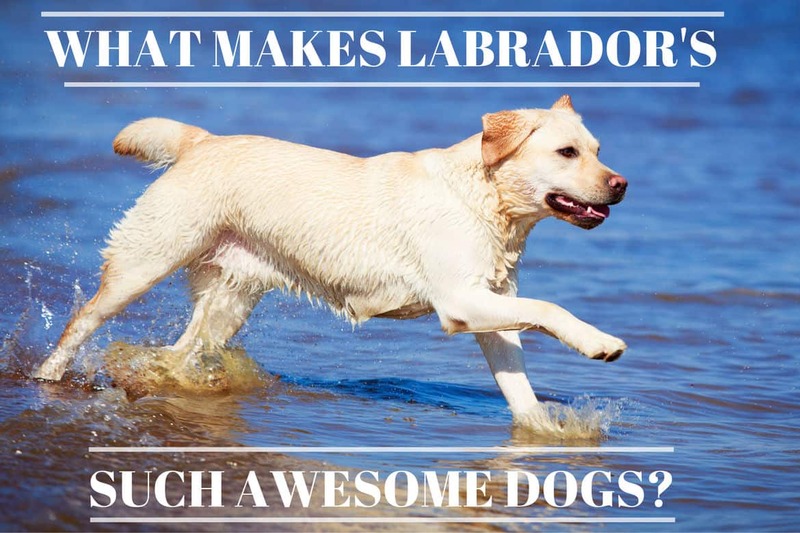 What makes Labs awesome for you? Let us know in the comments! Our 2 months old Labrador retriever know now how to sit and stay in a place before she eat. She’s adorable and sweet, loves to cuddle and play. She’s also not growling even if we touch her or walk around near her unlike some other dog owners problem. Before I read about this some article about ‘growling while eating for puppies’, I didn’t even know then that growling while eating is unfortunately common for the most of the dogs that means the dog is afraid for their food to take away from them and a simple warning like ”back off!” for them to secure their food from you. I’m also taking away my puppy labs food away from her calmly and give her more treats for being calm and not growling at me for doing that. Truly, Labrador retrievers loves to eat and eat and eat. As long as you gave them proper diet and healthy or high quality dog food there’s no need to worry. But, Labrador can be obese so it’s a must to control their eating habit and give them proper exercise and training. If you’re looking for a lovely affectionate pet, I highly recommend for you to choose Labrador Retriever especially if you have kids at home. Hope this’ll help for some! ps: any kind of dog can be as affectionate to you as you are to them if you are true honest to yourself on giving them your love. peace and love! I am thinking very seriously about adopting a female Golden Labrador retriever this coming September, she will be bought as a puppy so I can have longer with her , This will be my first experience with owning a dog of my own although not the only time In my life I’ve looked after a dog. My last fury soulmate taught me alot about how to love a dog and how much kindness and true love is a vertue that needs to be kept alive very day and night your with your beloved girl, be it irrespective of a human or otherwise. 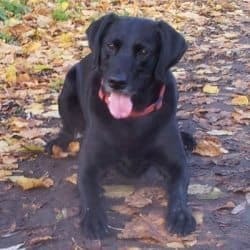 I find this site very helpful because it has down to earth and practical tips on labradors. Hello, We adopted Chase on Monday…he is 99% wonderful with 1 bad habit! His previous owners (returned him to the breeder as they didn’t have “time” for him) taught him to jump up and give them hugs…I’ve never heard of anyone training a dog to jump up but now at 13 months old we have to teach him we do not find this acceptable behaviour…I personally turn my back on him and ignore him…any advice you could offer would be sincerely appreciated. I love my Lab! She’s the sweetest girl ever, love kids, gentle, patient, kind, sweet as can be. We use to have a black lab before April came along but he was hit by a car, he has a special spot under a big tree in our yard, because of him we instantly fell in love with labs. I tell ya, once you get a lab in your life, no other breed will surpass your desire. They become part of your family and you grow to love them as such. God bless them labs. Thanks so much for this wonderful, informative article. My blind daughter is now in NY for a 3-week training with her guide dog, a black lab. She’s so happy with him. I’m so grateful for all the work many people have put into providing, raising & training this dog. Lucas you must. I have been an owner now for two years and it is simply the best. Already today, I have had the pleasure of attempting to wash my car as Dudley, my chocolate Labrador ran frenetic and crazy circles around the front lawn with the hosepipe dangling from his mouth. Check out my blog page for more such crazy stuff from him too. I stumbled over this site accidentally. Can only say I had a Labrador for 11 years and, besides him being a perfect playmate with the kids, he was one of the main reasons I could do the very intensive and stressful job I had during most of these years (full university professor, long working days, living for a long time separated from my family, and more). He was always there to provide support in terms of walking in the morning/evening, cheering me up with his antics, patiently sitting in the car for long journeys with his muzzle on my hand (and the gearstick..), looking inquisitively but calming when things were tough, gently bringing things to my lap to break bad moments, and more. A human would not have had all that patience, I believe. I completely agree that once you own a Lab you wont get any other breed of dog. I have a 7 month old Yellow Lab male named Wyatt. He is the third Lab I’ve owned in my lifetime. My family was pestering me for months to get a dog and I put up a little bit of a fight. Once I saw him I knew I was in trouble and would have to bring him home. Not only are Labs great for families, smart, loyal, loving they’re the best looking dogs around. They’re so handsome and noble looking. They look as though they are straight out of a Hollywood movie. My boy is 100 pounds already and maybe still growing. He is huge! We call him a big oaf. He can be clumsy from time to time but is as sweet and loving as can be. I think he just doesn’t realize how big he actually is. I couldn’t be happier with him. He listens to my every command I make. He loves my wife and two boys. He watches over my youngest boy as if he is the parent. He is the most alert, gentle protector a Dad could ask for. I’m sometimes in shock that I somehow managed to get the best possible dog. There is no comparison to any other dog breed. I love all dogs big and small but Labs will always have a special place in my heart. Maya is my second Labrador Retriever. She is sweet, loyal, intelligent, playful, and most of all the best friend a person could have in their life. She really has been with me in sickness and health. When I have been home recovering from many surgeries, Maya has stayed close to me in bed during my recovery. I am a Clinical Psychologist in private practice. Maya comes to work with me every day. She invented her job at the office. When patients come in, she goes to the waiting room to greet them. When my therapy session is over with a patient, Maya escorts them to the exit door. It is her job. I normally dont reply to blogs in general but for my K9 buddy Gryffin who is now 14 months old. I always tell people he can be a real jerk between 7-9 am because I work a mid shift and he misses me during the evening and he is just making up for lost time. He is my best friend and I can not shake him from my side, even when he is exhausted from running around. he he loyal to the house, best door bell we ever had, and he lets everyone know someone is around the house from inside the house.